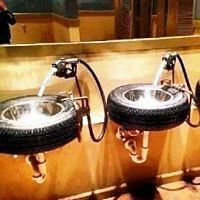 Don’t let your old broken down car take up space in your garage or your garden, there are many innovative and creative ways of transforming useless pieces of your car into something awesome and useful. Sometimes the perfect piece of furniture or accessory is right before your eyes, all you need is a little boost to get those creative juices flowing. Literally any part of your old car can be transformed into something cool. 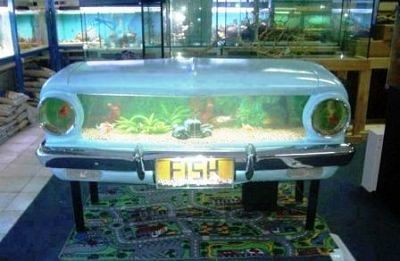 Always wanted a fish tank that stands out? Your broken old car could be transformed into this awesome centre piece for your living room. With just a bit of creativity and a few garage tools you can create an awesome and unique fish tank.